JVC DLA-X30 review | What Hi-Fi? Timing is everything. JVC timed the launch of its projectors perfectly in 2010, ensuring that its magnificent DLA-HD550 - thanks, of course, to a sky-high level of performance - was our 2010 Product of the Year. The company missed the boat in 2011, however, so it's only now that we're getting a look at the DLA-X30. It's no looker, but it is a doddle to get up and running thanks to a flexible motorised lens - and is ultra-quiet. 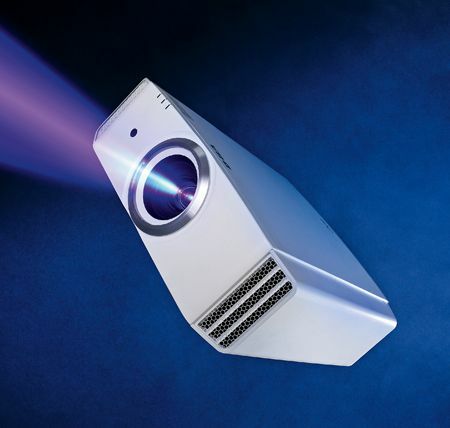 The X30 is a 3D, Full HD, D-ILA projector that boasts a claimed 50,000:1 contrast ratio and 1300 lumens brightness. Two HDMI inputs and a component connection are on the back. The 2D picture on offer is in some ways the best we've seen. The Expendables is drawn with sharp edges and vivid, dynamic colours. Lines on the actors' faces – of which, let's be honest, there are plenty – are mercilessly revealed. Black levels are deep and solid. With fast motion, however, it slightly lacks the fluidity of the Panasonic PT-AT5000E. There's seriously impressive 3D depth, but it's not the most stable or comfortable in its class. You can adjust the strength, but crosstalk and flicker remain a slight gripe. While the X30's 3D performance could be better, JVC has undoubtedly raised its own performance bar in the 2D arena – which is what saves the X30's five-star rating. If you don't need or want to bother with 3D content, the JVC's 2D performance could make it your first choice.